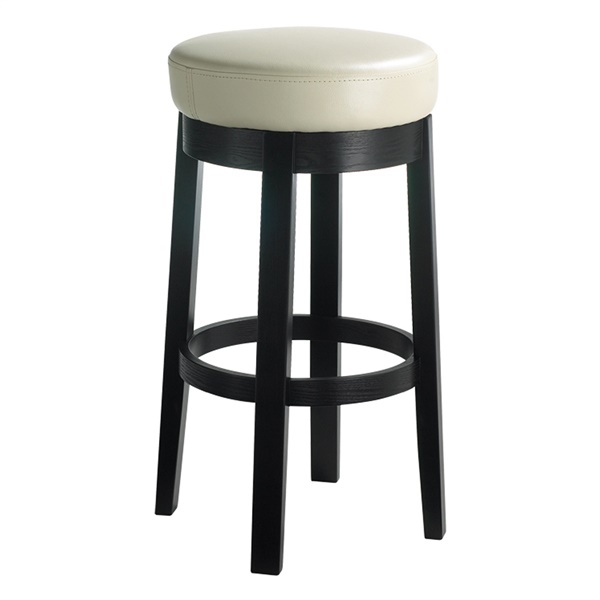 Sunpan puts a contemporary spin on the classic parlor-style design with the sleek yet casual Cedric Bar Stool. The modern bar stool pairs a sturdy solid wood base with a round, backless seat to create an updated yet timeless look that persists through changing d�cor. A plush seat cushion wrapped in luxurious bonded leather provides optimal comfort while a matte black finish on the base adds a striking, modern edge. Your choice of sophisticated upholstery color ensures that the Cedric Bar Stool fits seamlessly into your home's design scheme.